Mimaki has spoken out about its new strategic partnership with 3M, saying that the link-up will be of major benefit to customers of both companies. 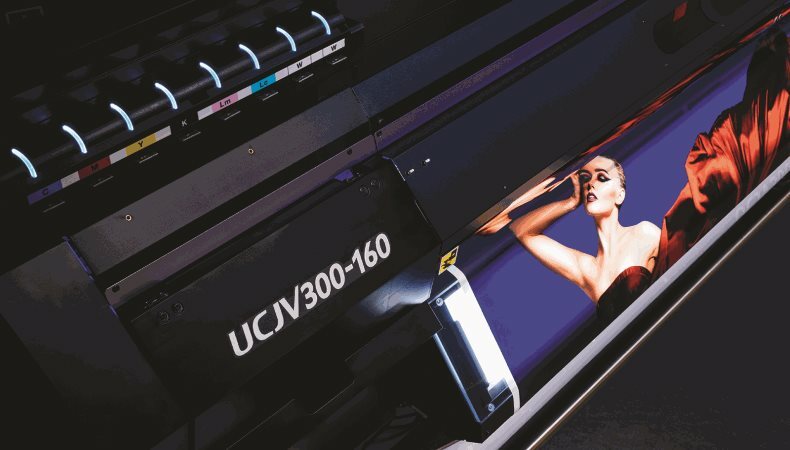 Under the agreement, Mimaki’s UCJV Series with LUS-200 inks will now carry the 3M MSC Warranty. Available in Europe from this summer, 3M says this warranty is the most “comprehensive finished graphics warranty” of its kind. The 3M MSC Warranty provides full, non-prorated protection for the intended life of each graphic. This includes fading, cracking, peeling and other aspects of the graphic performance. This focused warranty will cover up to eight years on various interior finished graphics, and up to six years on certain outdoor applications such as vehicle wraps when using 3M media and installed using the 3M guidelines. Speaking to FESPA.com about the deal, Ronald van den Broek, general manager sales at Mimaki Europe, said that the thinking behind the link-up was to provide further support to Mimaki customers. “Instead of looking at the benefits for Mimaki, we should look at the benefits for the customers—for the market,” van den Broek said. The partnership between leading companies like Mimaki and 3M guarantees high quality standard and reliable support. The announcement came amid the hustle and bustle of the 2018 FESPA Global Print Expo, which took place last week in Berlin, Germany. Van den Broek said Mimaki had a particular successful event, describing it as its “most successful” FESPA exhibition to date. Van den Broek said: “We sold at least two of our new production-class textile printer at the show, we received two awards from the European Digital Press Association, and we reached all our targets—not only in terms of leads, but also in other aspects, such as increase in brand awareness or attendance at our press conference.